Saba Rezae is a Senior Criminal Defence Lawyer who has practised exclusively in criminal and traffic law for several years. He has appeared in courts and tribunals throughout the state in a wide range of cases, from AVOs, common assaults, larceny and drug possession cases to trials for aggravated robbery, commercial drug importation and supply, aggravated sexual assault and causing grievous bodily harm with intent. Saba is passionate about achieving exceptional results for his clients, whose interests are well served by his ability to develop effective case-strategies, ascertain deficiencies in prosecution evidence and fight to have charges withdrawn, downgraded or thrown out of court. Saba is a seasoned court advocate who has the ability to effectively communicate his clients’ arguments, to systematically dismantle prosecution witnesses on the stand and to persuade magistrates and judges into agreeing with defence submissions. He has extensive knowledge of criminal and traffic laws, procedures and processes, and enjoy constantly updating that knowledge to ensure his clients benefit from his expertise. 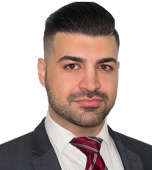 He is acutely aware of the stress and anxiety clients can face in criminal cases, and endeavours to put them at ease in the knowledge that they have engaged a lawyer who works tirelessly to further their interests.  Saba is an outstanding criminal defence lawyer and an integral member of the Sydney Criminal Lawyers® defence team. There is no fee for a first conference if you have a court date. Call (02) 9261 8881 to book a conference over the phone or at our offices in the Sydney CBD. If you wish to plead guilty.in the Local Court for cases such as drink driving, drug possession, assaults and major traffic offences. The fee is for all work up to and including your court date. The fee varies depending on the court location. This is when you wish to plead 'not guilty' and defend the case in the Local Court. Fixed fees can be offered for 'less serious' cases including common assaults, apprehended violence orders, drug charges, drink driving and other major traffic offences. The fee can vary depending on court location, the likely number of court dates and the seriousness / complexity of the specific case. Appeals can be undertaken in the District Court if the Local Court penalty was too harsh. The cost depends on the court location and whether the Local Court imposed a prison sentence. Bail Applications are conducted to get a person out of custody. The cost depends on the court location and whether the bail application is made in the Local, District or Supreme Court.